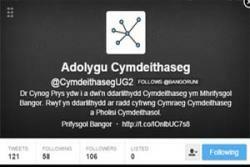 Dr Cynog PrysFollowing the success and popularity of the Adolygu Cymdeithaseg (Sociology Revision) Twitter account launched last year, a lecturer at Bangor University’s School of Social Sciences will restart tweeting sociology revision messages through the medium of Welsh to A Level pupils this week. As a programme of work which aims to bridge the gap between schools and studying Sociology at University, Dr Cynog Prys, a Sociologist specialising in the use of Welsh online, will tweet revision advice from @CymdeithasegUG2 in the period leading up to A Level exams this summer. The first tweet will be sent on Monday, March 23th from the Adolygu Cymdeithaseg account and following that at least one tweet about sociology will be sent out every day. Cynog said: "More than 100 people followed the Adolygu Cymdeithaseg account last year and we received a great response from A Level Sociology pupils across Wales. It was good to see Tweets being retweeted and favourited as well as our followers Tweeting to their friends about the useful content. I was extremely pleased that the Tweets were of use to them. I have also attended some of the schools where the pupils followed the account and received fantastic feedback from them, including some ideas on how to improve provision for this year. 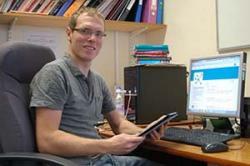 One suggestion was to include more links to useful websites, which I have attempted to do this year." "In my first year I focused on material that would be useful for first year A Level pupils, which is the study of Family, but this year I have extended the provision to include materials for the last year, i.e. Social Inequality. If you study the Family this year, follow the Tweets using the hashtag #SY1 and #SY4 for Social Inequality."